Now a small business can reach its target customers even better with DigDev Directs’ email marketing packages! DigDevDirect, a multi-channel digital and data marketing services agency based out of Deerfield Beach, FL, creates business email marketing packages for small businesses. With extensive utilization of email marketing and data marketing options, DigDev has been providing quantitative solutions to organizations for over a decade. Their marketing strategies to reach out to a wider target audience is coupled with intensive data sourcing from the most reliable sources that include postal records, federal records, state filings, shipping records, annual reports of public companies, websites, and much more. Cohesive digital solutions marked with matching profiles gives them the leverage to reach out to multiple customers on cost-effective platforms. “As a small business owner, you are constantly looking for ways to expand to a wider customer base with minimal cost and effort. This is made possible with DigDev Directs’ small business email marketing packages that combine programmatic advertising on various social media platforms that see a large footfall of customers of your choice. The data segregation is based on age, gender, income, type of products, marital status, and much more. These customers may be on gaming platforms or download mobile applications that seek their undivided attention. By leveraging display ads and targeted email marketing options, we address your business requirement and get you the right customer base at minimum cost.” Media Direct representative. 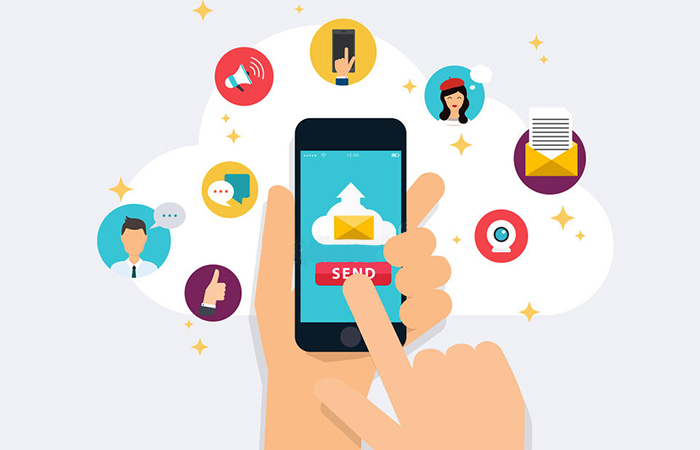 DigDev provides small business clients customized email marketing solutions that are carried out systematically by combining regular email campaigns and direct mail campaigns. A consumer is more inclined to come to a business if they know it has something that no one else would offer. The conversion ratio of consistent email marketing campaigns, carried out at regular intervals, is far more valuable than a short-term email campaign that addresses every consumer as one. With over 280 million records readily available, businesses can now reach out to their target customer or select audience on various platforms, yielding greater results.